Last week, I attended a presentation by Tarun Khanna, professor of strategy at Harvard Business School. His presentation focused on microfinance, a theme in his new book, “Billions of Entrepreneurs: How China and India Are Reshaping Their Futures–and Yours.” To propel discussion, he discussed the dynamics of micro finance in India and China and how the impact of microfinance has been fundamentally different in each country. He asserts (on very general terms) that microfinance in India has been somewhat successful, whereas in China, microfinance has yet to really impact a significant amount of people to a capacity that it truly can. Private rights are dramatically limited in China and the public interest is favored. Whereas, in India private rights are usually favored over public rights. For example, if there was a road construction project and a road had to be built through an individual’s property, the individual in China would be forced to move. Whereas that same individual in India would decide whether moving is in their best interest and may decide to battle the matter out in court. Thus for the Chinese, limited private property rights tend to undermine entrepreneurship at its core, whereas for the Indians private entrepreneurship may be freely pursued but a lack of a healthy governmental infrastructure somewhat hinders free enterprise prosperity. Access to fair and impartial information is almost completely inaccessible in China. The government essentially controls mainstream media. In India, information rights are excessive with minimal government intervention, leading to a sometimes meaningless inundation of information. 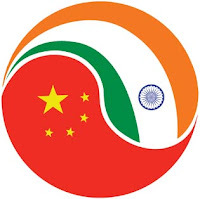 Thus, for the Chinese, biased information can severely obstruct business decisions and for the Indians an excess of information can complicate business decisions. The Communist Party is strong and growing, in numbers and influence. To put bluntly, the Chinese government fear institutions, including microfinance organizations, achieving scale outside the boundaries of governmental control. In the government’s eyes, a microfinance organization may become too influential on Chinese citizens. The government in India operates in a diametrically different direction with government involvement in citizens personal affairs being minimal (often times to too minimal, ie. lack of healthcare etc). For the Chinese, big government control severely restricts the power of microfinance. For the Indians, microfinance has made a positive impact but without sound economical infrastructure in place, it is certainly far from blossoming. Take away: India’s soil is better for microfinance and arguably entrepreneurship. However, Mr. Khanna’s presentation was enormously simplified and clearly biased in favor of India as there are a myriad of downsides which are equally detrimental to entrepreneurship in India (ie. weak political, legal, operational infrastructure). All in all, it was an interesting take on the impact of microfinance, in light of political infrastructure, in those countries. Something to think about for social entrepreneurs currently operating in China or India or those who wish to create a social venture in either country in the future.